Clearview brought an early Christmas present to a homeowner in Huddersfield after they manufactured and installed Beaufort bi-folding doors to their new conservatory at the back of the house. 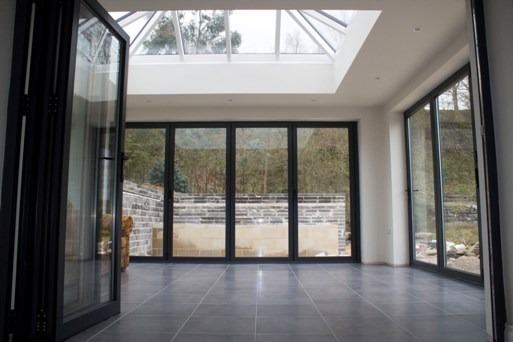 With a change in house lifestyle happening, bi-folding doors add that final finishing touch, and are a perfect accompaniment for new builds, through their stylish and modern design. They are also proven to change people’s lifestyles, help to bring the outside indoors and have superb heating properties, trapping warm air in the winter and keeping the hot air out during the warmer months. 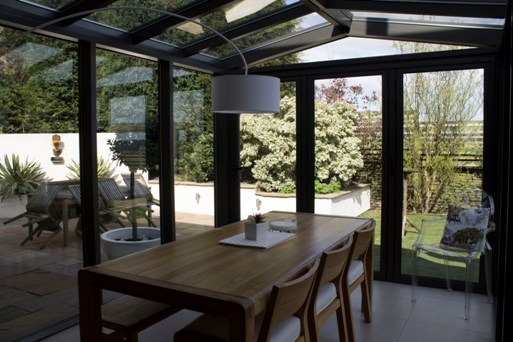 The full length one level conservatory will add copious amounts of extra room to the property, and the owner wanted to cash in on the space by installing bi-folding doors, proven to offer 90% free opening space within homes. Due to the large size of the opening, our team of specialist aluminium engineers manufactured a five pane concertina door, which folds to the left. 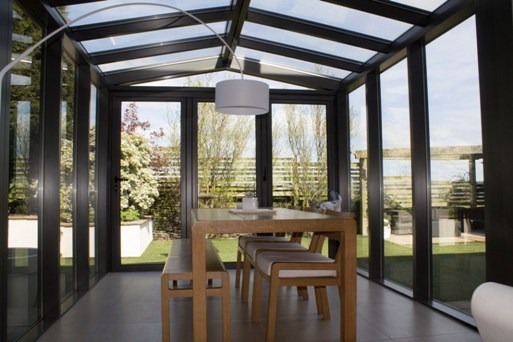 As with all our bi-folding doors, the glazing is 4mm toughened and uses a high efficiency glass. Because of the domestic use of the door, there is also a 4mm low-e inner added to the glazing. 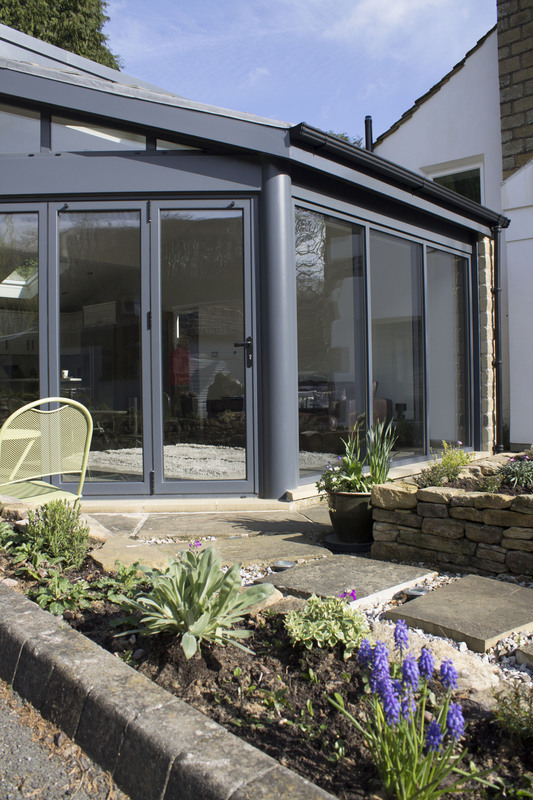 All our doors come with a 10 year guarantee which covers the aluminium, glass, powder coating and installation. Aluminium doors and windows, including the bi-folding door, are also superb at offering added levels of security and safety. All of Clearview’s products are tested and pass vigorous checks meaning they come with Ant-Bump, Anti-Pick, Snap Secure and Kitemarked high security locks as standard. Additional locks can also be added. The aluminium we use is also strong, lightweight and versatile and can be finished in a wide range of colours, including crazy pink. Despite the rest of the house having brown window and doors, here the homeowner required a white finish. For more information about any of the aluminium window and door products we manufacture, or to discuss your specific domestic or commercial needs, please call us on 0800 1357167. We look forward to your call. What’s the difference between PVCu and aluminium?